As I continued to research pedigrees, I really wanted a ridgeback out of the Sarula line, bred by Linda Costa, author of Rhodesian Ridgeback Pioneers, originally from Rhodesia/ Zimbabwe and now relocated in Australia. I tried for several years to find a dog out of her line, and finally found a litter in Texas, but there were no show potential girls in the litter. I was also interested in the Vizara line, bred by Marietta van Deveer, in the Netherlands. I was thrilled to find out a few years later that someone had already combined those lines along with another line I was interested in, Pronkberg, and had a litter in Israel. Devash came from Lod, a town near Tel Aviv, bred by renowned author and international judge, Orit Nevo of Rich-Rach Rhodesian Ridgebacks. She came to us at four and a half months of age. 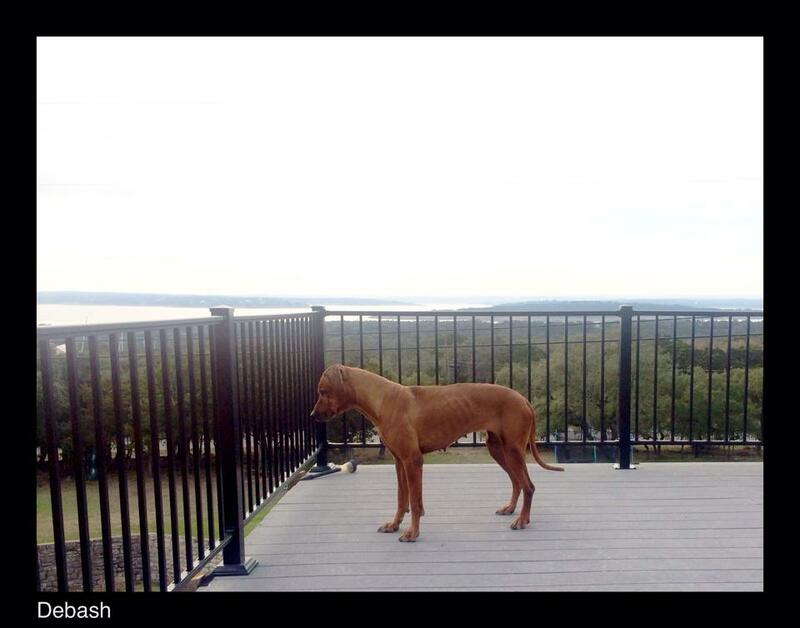 Devash is 100% pure African lines out of historic kennels. Ridgeback owners know we have one "heart dog" and that's Devash to me. 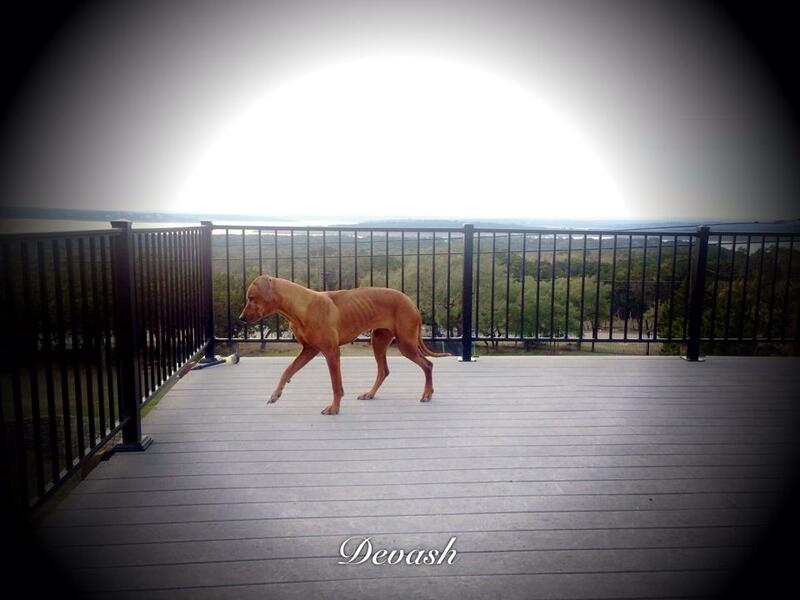 Devash was minimally shown, participated in the Rhodesian Ridgeback National Specialty in Lansing, Michigan in 2009. It was a thrill to be able to meet her breeder, Orit Nevo, there, too. Orit and I were able to reconnect in Jerusalem, Israel. that same year when we were there as tourists. Devash (the name is Hebrew for 'honey') whelped two litters, one with Saber, and one with a co-owned dog of our breeding, Legendz Mustafa of Mozambique "Hank". We kept co-ownership of one male out of this litter, Legendz Lake Turkana, "Turkana". Both Hank and Turkana are beautiful, muscular, masculine males, but more importantly have excellent character and temperament. They are confident, comfortable and unruffled in new situations, appropriately aloof with strangers, and extremely intelligent. Hank lives in Corpus Christi, Texas, and Turkana lives in New Mexico with another Legendz puppy. He will be brought back into our breeding program in the future, to preserve Devash's and Saber's lines.